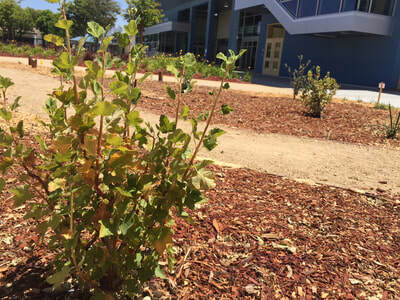 Living Classroom - What's Growing On? Thank you to Whole Foods Market for selecting Living Classroom as a recipient of the Nickels for Nonprofit Program. 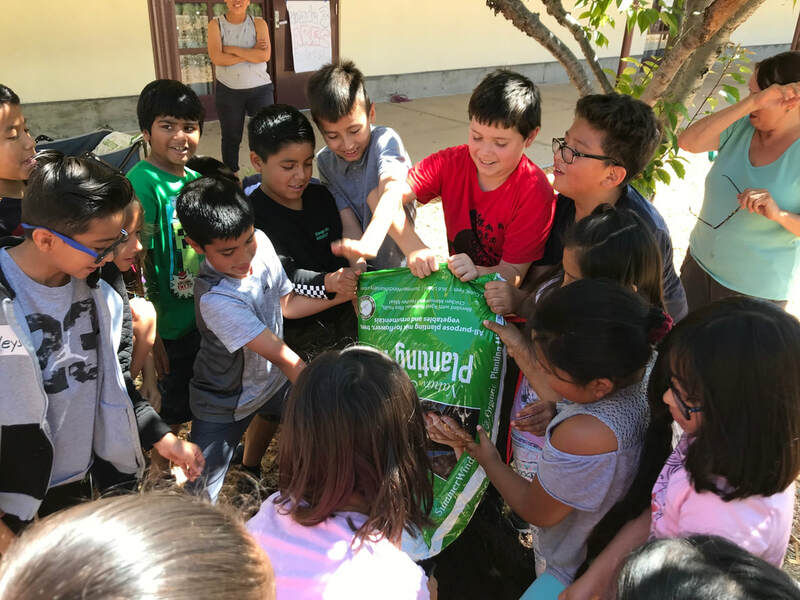 This support allows Living Classroom to continue to bring health-oriented, hands-on, garden-based learning to students in grades K-8, creating the next generation of environmental stewards. We hope you can join our next docent event on Monday, February 25th. Local mushroom expert Dr. George Caughey will lead us on the beautiful trails of Huddart Park in Woodside to teach us about the fungus among us. A carpool will meet at the Living Classroom office in Los Altos (click for directions) at 9:00 sharp. We plan to meet Dr. Caughey at the trail head for a 9:30-11:30 hike, and will return to the Los Altos office by noon. ​Click here to RSVP, and be sure to let us know if you will be joining the carpool or need directions on where to meet us in Huddart Park. Please wear hiking shoes, bring sun protection and water bottles. We are looking forward to a wonderful morning exploring one of our local parks! Training sessions for NEW and CURRENT docents begins Monday! Training sessions will be held in Campbell, Los Altos, and Mountain View (for both Mountain View and Palo Alto docents). Trainings will be held from 2:00-5:00 pm in Campbell, and from 9:00AM-Noon in both Los Altos and Mountain View. See the Docent Training Schedule for all details. HOBA Work Day at the Hoover/SRC native Garden an overwhelming success! 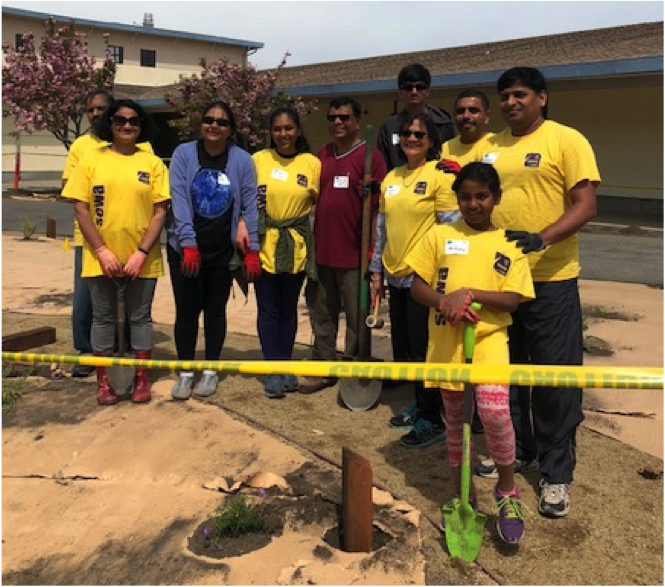 On October 18, 2018, our Garden Manager Patti Berryhill led a team of volunteers from SAP, coordinated through Hands-On Bay Area, (HOBA) did an amazing amount of work restoring the Native Habitat Garden for the students of Hoover School. There was weeding, weeding, and more weeding to be done, along with some projects to replace some signage and upgrade some of the irrigation systems in the Farm to Lunch Beds. This day of service made such a difference to this garden, and we are so grateful to all the volunteers who gave of their time and effort. Thank you HOBA and SAP! and gain a better understanding of the overall California water picture. Find out what you can do to help conserve this precious resource. Please RSVP to livingclassroom@lasdschools.org by Friday 11/2. It's Fall at Living Classroom! 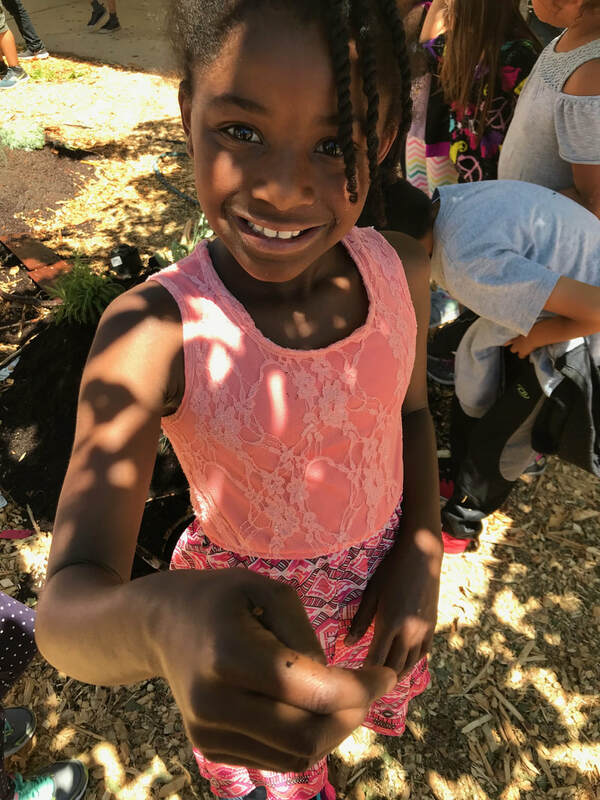 Third grade students have been busy tasting, squishing, and saving the seeds of heirloom tomatoes while participating in the Life Cycle of a Tomato lesson. Living Classroom put this lesson into "hibernation" as we moved it from second grade, and adjusted it to fit the third grade NGSS standards. Students who participated in part two of the lesson this week enjoyed rinsing their seeds, and observing the impact of the yeast that had removed the gelatinous seed coats from the tomato seeds. Now the seeds must rest in a cool, dry place over the winter, so that they can be planted in spring, when the earth warms up. Such a wonderful process for the students to participate in firsthand! Living Classroom has wonderful Fall-themed lessons, such as Three Sisters Harvest, for third graders, which highlights the importance of the harvest season, and From Seed to Pretzel #1, a second grade lesson that shares the importance of sowing winter wheat in the Fall, to grow all year long. Thank you to Google and SAP for helping to Cleanup Our Gardens! 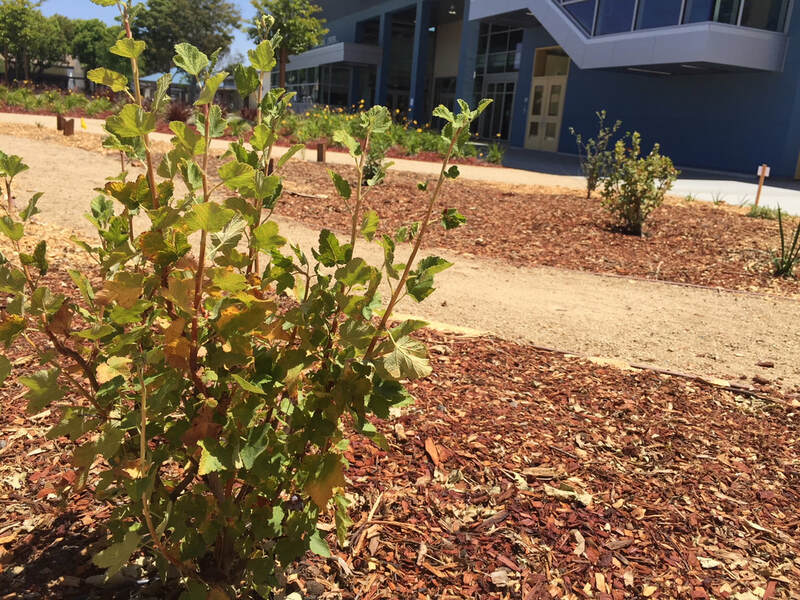 ​A great big thanks to volunteers from Google who worked hard on a hot day to clear huge amounts of weeds, including Bermuda grass, from 25 planter boxes at Castlemont Elementary School in Campbell. Their volunteer project will allow Living Classroom to use many of these beds for their lessons in the new school year along with other school use. And the next day, SAP volunteers weed whacked and pulled weeds which were crowding out the native plants at the Science Resource Center Native Habitat Garden used by Hoover School students. 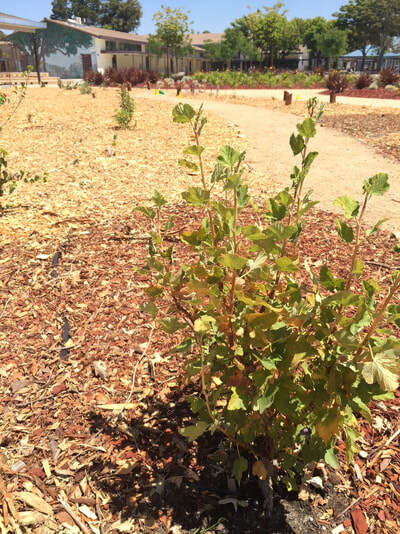 Now we will follow up with sheet mulching and planting additional native plants in the fall. Summer School off to a great start! 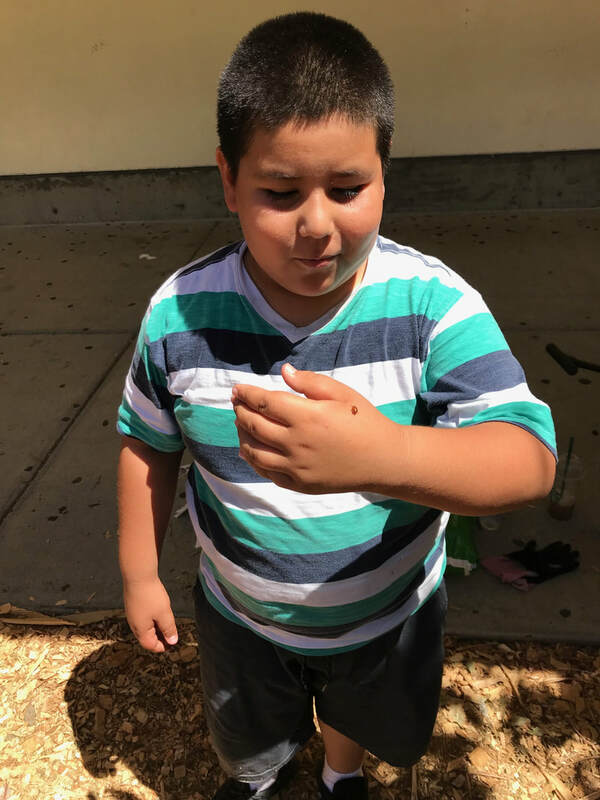 Living Classroom is once again providing fun, enriching and educational activities for 300 students enrolled in the Mountain View Whisman School District's summer school. We are providing four activities for each class in grades 1-6 and special needs classes as well. Below are photos from the Building a Hugel Mound project for 4th graders. 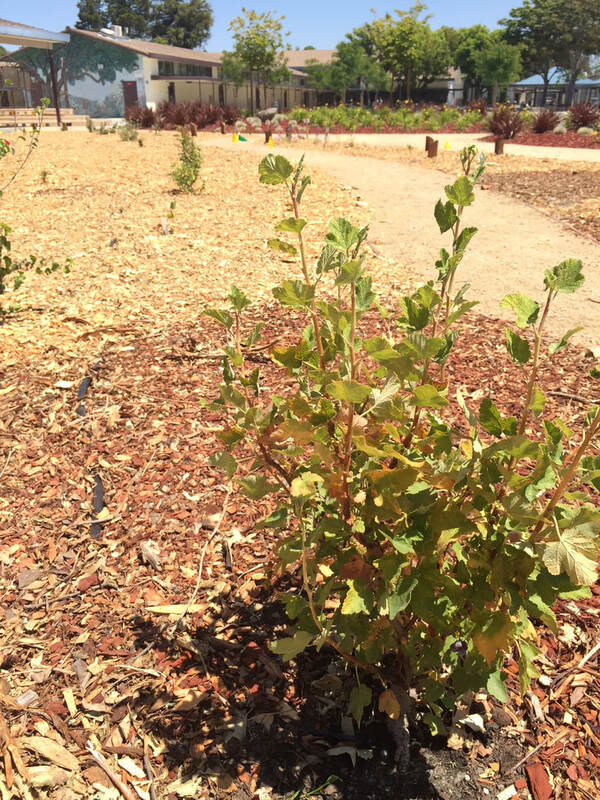 The Hugel Mound is made of branches, leaves, soil and other organic materials which demonstrate water infiltration to reduce storm water runoff, and also decomposition. The process helps to improve soil fertility and soil warming and benefits plants grown on or near the mounds. 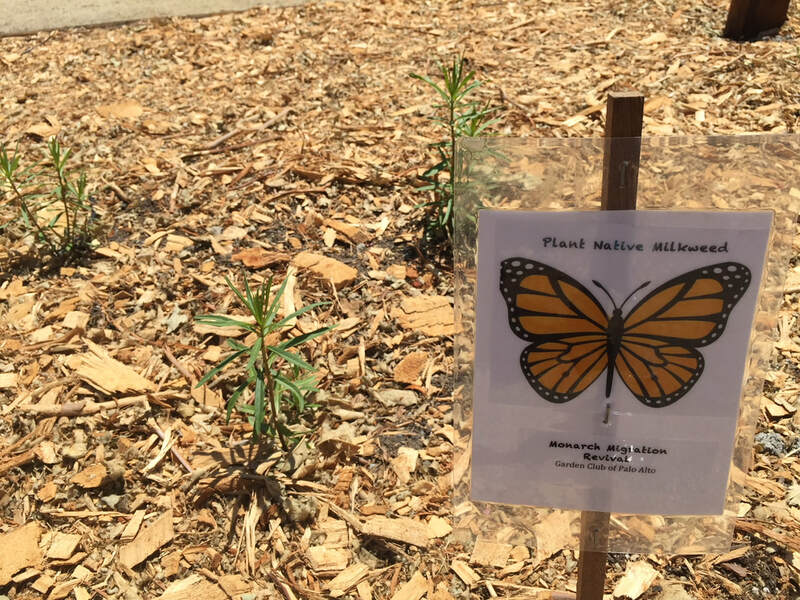 Students planted small native plants as the last step in completing their mounds and to celebrate released ladybugs which are wonderful beneficial insects. Two students were delighted to have them land on their hands! Crittenden Middle School Native Habitat Garden and Landscape is In! 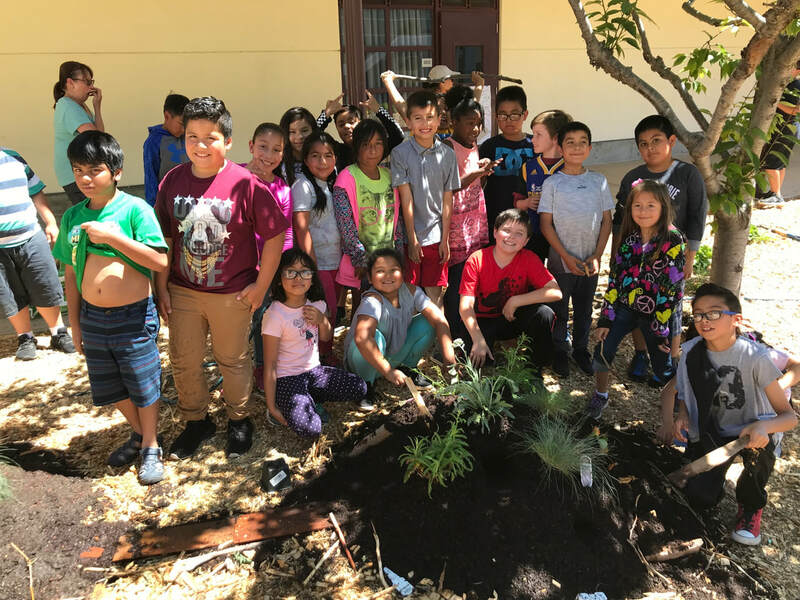 Through a joint project of Living Classroom and Canopy, students, teachers, parents and neighbors of Crittenden Middle School in Mountain View can enjoy a new native habitat garden! The Native Habitat Garden will be used for Next Generation Science aligned lessons for students and native plant landscaping in other areas of the campus will not only be beautiful and water conserving, but also attract native wildlife. On Saturday, May 5th, 120 volunteers from SEWA USA, a nonprofit service organization, Google, and Crittenden school parents and students came together to plant approximately 200 hundred trees, shrubs, perennials and groundcovers on the campus including five California native oak trees. 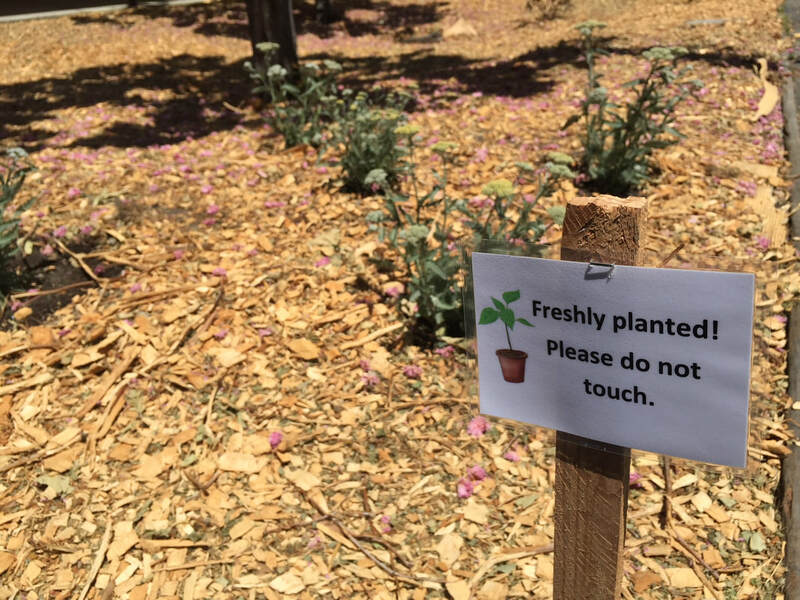 They also installed several dozen posts for plant signs, and sheet mulched all the planting areas. 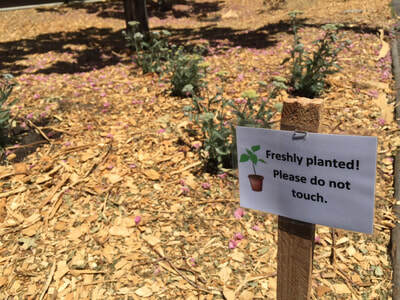 Prior and following the community work day, the Maniglia Landscape Company, through the California Landscape Contractors Association San Francisco Bay Area Chapter, donated their time, materials, expertise and equipment to install the pathway, contour the soil, and install the irrigation. Finishing touches including special interpretive signs will be installed in the coming weeks.